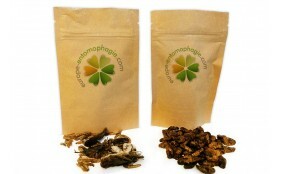 This bag contains between 40 to 60 mealworms seasoned with curry. 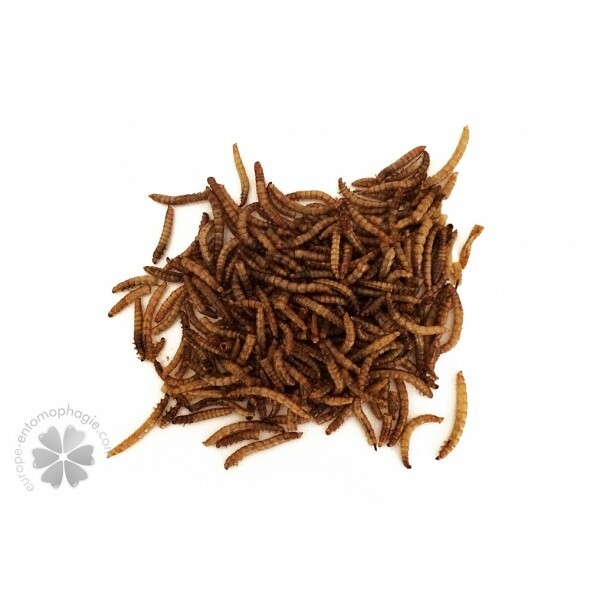 If you like oriental flavors, Curry Mealworms are a great way to start exploring the delights of entomophagy. 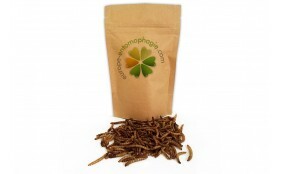 This bugs have a natural taste of chicken chips and go very well with the curry seasoning. 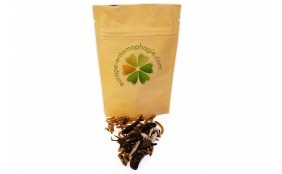 In this bag you will find no less than 40 to 60 mealworms deliciously seasoned with curry. They are perfect to be served as an appetizer with your drinks or as a snack whenever you're hungry. You can even add more to your traditional recipes to give them some crunch. There are only three ingredients : mealworms, salt and curry. 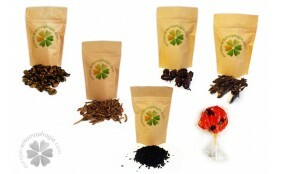 All insects contained in this bag were boiled, then cooked so they are ready to be enjoyed as soon as you open the bag. The bugs usually called "mealworms" are actually the larvae of a beetle well known by the bakers because they love to eat seeds and flour... Back in the days, they were often found in the bags of flour stored in mills. Those insects are small — about 2 to 3 cm maximum — and have about six tabs located at the front of the body. Most of the time, their color is golden yellow. As an adult, a female beetle will be able to lay 400 to 500 eggs, which become larvae after about 10 to 15 days. These larvae then remain in this state for almost 10 months before becoming adults. Then, their life expectancy is only about two months. Do you realize that by consuming these small animals, you'll have a great protein intake? You'll also get a decent amount of vitamins and essential minerals. 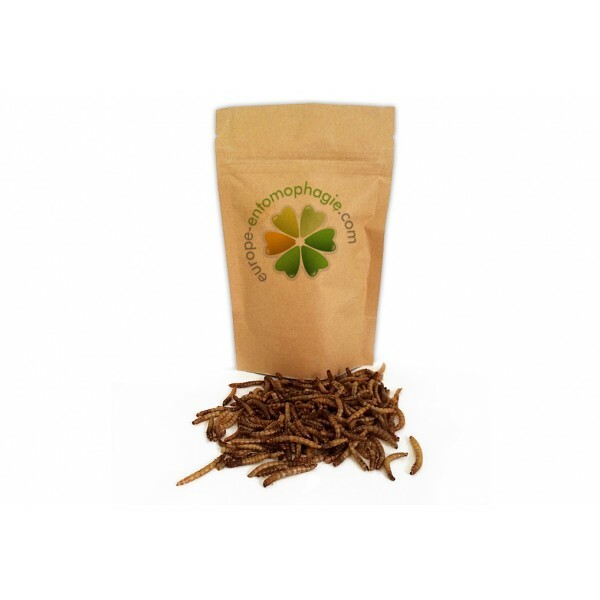 Eating insects is even recommended by many international organizations for health and nutrition, including the Organization of the United Nations for Food and Agriculture (FAO). 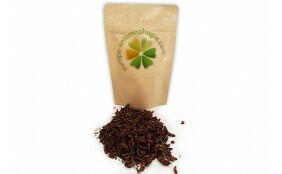 Edible insects are also very low in fat and are thus ideal for a balanced diet. So, why don't you try them now?